I took a leap earlier this week – I submitted a proposal that I am excited and passionate about but one that also makes me feel nervous because of the amount of work I would have to do to make it happen. I have always believed in dreaming big so this is no exception. I put a proposal into Regenerate Christchurch suggesting that the Red Zone should have its very own Bush kindergarten. It’s such an exciting concept and having shared the concept on Facebook there has been a lot of support which was awesome to see. I wanted to share a bit more about my vision as its not only a bush kindergarten. It’s a bush school and and Outdoor Education Centre too. By sharing my vision, I hope to encourage any other passionate people out of the woodworks but also it would be nice to document where this journey takes us. So here are some of the high-level details that I have come up with so far. 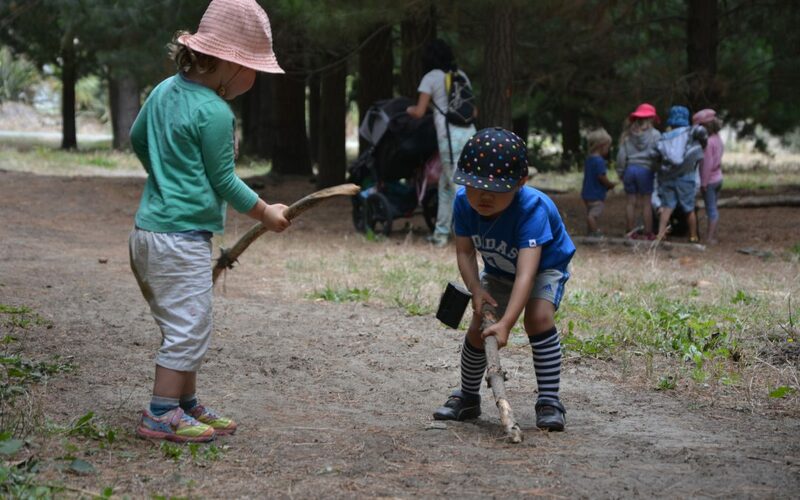 The kindergarten would have its own area but tamariki would also be able to venture into the Otakaro Forest Park which is another wonderful proposal. Within its area would be native forest for the tamariki to learn, play, discover and explore. A community garden would be set up through either the Outdoor Centre or a community group that the children could use and help run. The bush school would also have its own small area or base and they would venture out into the park for activities. The bush school would be a place that school pupils, aged approx. 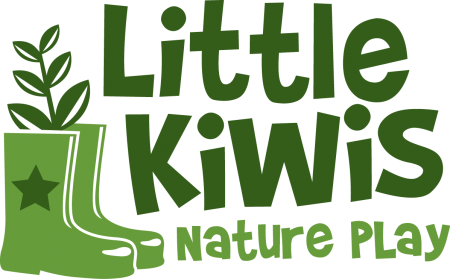 5-17years old, would be able to come and visit and take part in activities, outdoor education, environmental education and adventure play with lots of nature play thrown in there too. It would benefit schools from all over Christchurch and possibly Canterbury too. The Outdoor Education Centre or Adventure Centre is aimed at visitors and tourists. Some of the activities could cross over and be used by the bush school as well. There could be activities like zip wires, high ropes course, tree top walks, orienteering, kayaking and bike rental that would help showcase the area and the environmental journey that the red zone has gone through. Tourists would be able to engage in other activities that educate, promote and support environmental awareness. The centre could be involved in setting up natural playgrounds and nature play spaces within the park as well as a pump track for kids and a community garden that could be an inter-generational project that could incorporate the bush kindergarten and bush school groups as well. The more I think about it the bigger my idea becomes! It did start off as just a Bush Kindergarten but as you can see it’s a lot bigger now! There is a saying ‘if you shoot for the moon and fall, at least you land amongst the stars’. I love that saying as it encourages endless thinking and promotes self-belief. No matter what I do it’s better than doing nothing, right? My ideas will evolve and develop as I talk to other people and I very much welcome that. This is the start of the journey and I as I write this another idea has popped into my head – the centre could be a base for kid’s adventure races or rogaines or orienteering challenges. The possibilities are endless! One of the reasons I get so passionate about this idea is that I love being outdoors and I want every child to have the opportunity to develop a positive relationship with nature. I also know that if our future custodians of this planet don’t spend time in it then they don’t know how to care for it and they won’t see the value in having good access to nature. I also want to get children active outdoors. Children are spending considerably more time sitting down during their days than previous generations. Being outdoors and in nature doesn’t just give us the opportunity to be more active but it is great for brain development and mental health. I will share more on that in another post. Regenerate Christchurch are currently taking ideas from members of the public before a consultation process occurs. I am keen to make people aware of this idea so that it can be considered when it comes to the consultation process. That will be part of my focus over the coming months so if you are interested to hear how things are going please sign up to our mailing list for our monthly newsletter. We would love your support! I love the idea of a bush kindergarden, cause like you wrote, it is so important for our kids to be outside and get in contact with all the elements, to profit from the variety, gifts which nature offers us. To know that my child is outside as much as possible will for sure strengthen her immune system too. Thanks for your will and power you put into the idea. Thank you very much Nadine! It’s will be such an amazing gift to our city when we get this up and running! Great ideas! I can relate to your eagerness to dream big. We are dreaming big here in Nelson and aim to be starting a nature immersion school February 2019. Oh that sounds awesome! What age is that for? I would love to hear more about it. I just commented on a post yiu made on facebook about your ideas and that led me to looking at your blog. What wonderful ideas… thankyou for taking the leap! I am passionate about education and children learning through play. I came across the bush/forest school concept last year and ever since it has been stuck in my mind as the way forward. I can see so many benefits to them and with my daughter about to start school next year I would really love to see one in Christchurch. As part of your idea I know you have a kindy… does the school naturally extend from that with the kids who did kindy or is the school more set up for school groups to come in for day activities, etc. If its the latter… could there be a full time bush school onsite aswell?? I would love to talk to you more about what you are doing and get on board with helping… your ideas are wonderful and you sound so pasionate. Its nice to read posts from like minded people and get the feeling that you stumbled across something that is going to be amazing! Absolutely agree!! I think it is an excellent t idea and I would love to see this go through!! I also always dreamed of having a Forest/bush kindergarten in Christchurch. Too many ECE centres are becoming too plastic!! It will be a wonderful gift for our future generation. Thank you very much Mary! I love your enthusiasm. It is hard to know how Regenerate Christchurch will actually proceed with all the proposals they receive but I will tackle that when it comes up! Thanks again. The need for bush kindys here in chch is so strong, our future generations need to engage with papatuanuku and all her wonders if we want to foster advocates for her future, kaitiaki warriors! My dream is to one day have my own wee forest/bush home centre so I can embrace my wild and the wild of my babies whilst letting others babies get to aswell! Please contact me if you have success with this as I would love to offer support!! I have a degree in ECE and am at an enviroschool in chch whilst having my fingers in many environmental project pies but would love to extend this further! Thanks Stacey and how exciting re your dream! It will happen I just have no idea when 🙂 If you haven’t already please sign up to my newsletter as I update what’s going on there (and on Facebook of course).